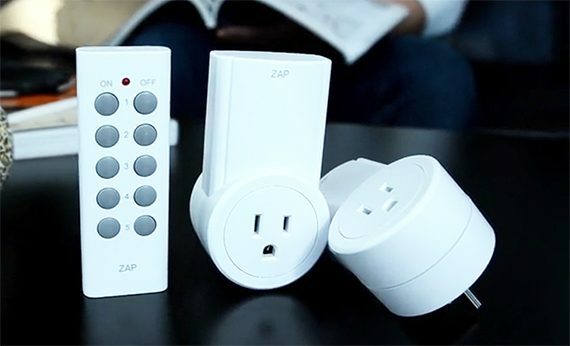 To cater to the people that want to have remote control over their outlets, but don’t want the hassle of installing and dealing with an app, there is always the possibility of using remote controlled outlets which won’t force you to go through a user interface, but will deliver pretty much the same level of convenience via a simple-to-use remote. One of these type of devices comes from Etekcity (a California-based company) which offers five identical outlets and two remote controls inside the package (along with two 12V A23 small batteries and a Quick Setup Guide). Thanks to the continuous technological advancement of the last decades, having a smart home with every device inter-connected and responding to both your voice and app input is no longer a dream, nor a fantasy taken from a sci-fi novel, but, while most devices that have ‘smarten up’ are now a lot easier to operate using a mobile app or have moved past their traditional use after the manufacturer implemented new technologies, there are some devices that did not take the smart treatment so kindly and are now surprisingly more difficult to operate than before. Inside the latter category could be included the smart outlets that allow the user to either turn on or turn off the power to a connected device, which is a welcomed improvement for most people (especially for people with various disabilities or the elderly), but not many are willing to deal with a mobile app in order to operate the outlets, especially since the targeted audience may not always be the young tech enthusiasts (even if some smart outlets app will offer detailed stats), so, the simple and more intuitive Etekcity outlets are the better solution in this case. Similarly to the traditional outlets, each of the five Etekcity devices has a circular base, but it is slightly taller in order to accommodate the internal antenna (it measures 4.0 x 2.0 x 3.1 inches HLW, including the prongs and it weighs 0.22 lbs). The body of an Etekcity outlet is completely covered by a white matte finish (does not retain fingerprints), featuring a three-prong plug and it has protective covers to ensure the children safety. The design of the outlet is quite minimalistic and unassuming, so it won’t attract the attention no matter the room it is going to be installed, but while I understand the need for the design line continuity, the circular outline around the plug could have been smaller or at least, flatter so it won’t cover up an additional power outlet. The outlet has one small Program button on the right side and on the front, under the paint, hides a small LED light which will be solid red when the outlet is receiving power (when it’s turned ON). The Etekcity outlets come pre-programmed right out of the box so all you have to do is to plug them into the necessary wall sockets and use the remote control to either enable or disable the outlet. Since these devices are pretty much identical, you will have to look at the rear label in order to find some type of identification: there’s going to be a code which will end with a hyphen and a number from 1 to 5, but since it is counter-intuitive to keep on checking which outlet is the right one, you could just use a marker or a larger label to easily tell them apart. The remote control is small (measures 4.0 x 1.4 x 0.6 inches) and it has two rows of buttons (one row for the ON function and the other row for the OFF function) with a single red indicator which lights up when you press any button. Note: By default, one set of two buttons (ON/OFF) is attributed to one outlet and, even if you have all the outlets connected, turning one outlet off won’t turn off all the other outlets. The Etekcity Zap outlets can be reconfigured if you’re unhappy with the default setup and to do so you need to plug the outlet into a power source, turn it on using the remote and press and hold the Program button until the indicator will start to flash. 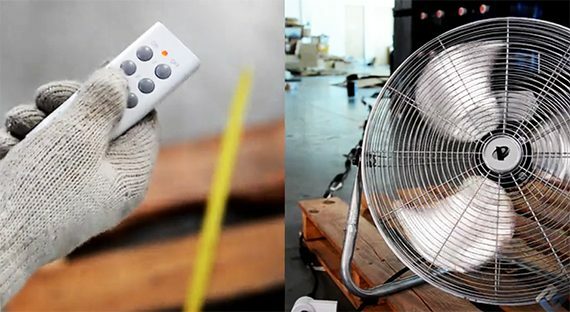 Afterwards, you need to release the button and, using the remote, press the desired button (can be On or Off). If the indicator stops flashing then the new pairing is successful. Now, if you’re unhappy with the new configuration as well, you can reset the outlet by once again pressing and holding the Program button (after you remove the device from the power socket) and then, while holding the button, plug the outlet back into a power source and keep the button pressed for another several seconds until the LED starts to flash rapidly and then stops: that’s the sign that the outlet has been reset. Other applications include the ability to control multiple outlets with a single button without worrying about interferences. Speaking of which, the Etekcity Zap outlets uses the 433.92 MHz transmission frequency that could, in theory, disrupt other appliances that use the same frequency, but, thankfully the outlet’s transmission is limited to certain bands so it should play nice with other devices. Furthermore, I was actually taken by surprise by how far the remote command can reach the outlets since in my experience, the 100 feet claim is not far from reality and I was able to enable or disable an outlet when I was outside the house at more than 60 feet away after two walls and two closed doors. Even if there are lots of smart outlets alternatives out there, I got to be honest that this is a very simple and intuitive outlet system and while initially it won’t struck you just how useful it can be, you’ll immediately realize that there is no turning back, you will stick with remote controlled outlets for the rest of your life from now (so you will be able to control lamps, Christmas lights, radios or even networking equipment, if your router needs constant rebooting). 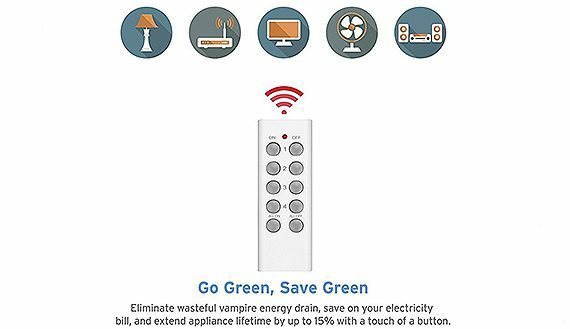 Note 1: The Etekcity Zap Remote Control Outlet Switch is ETL listed, so it raises up to the required safety standards in the US. 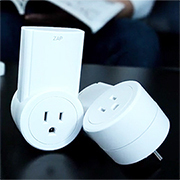 Note 2: Since the Etekcity Zap outlets cannot be connected to a smart home environment or WiFi, it is not compatible with Amazon Echo.